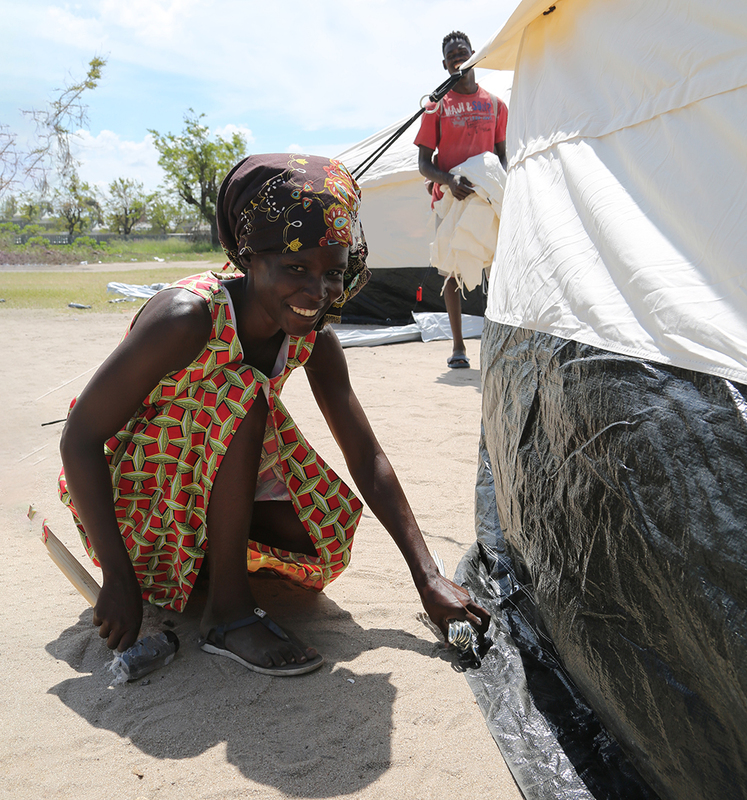 The challenge now is shifting to the outlying countryside, especially the Buzi River districts southwest of Beira, which largely were accessible only by helicopter until little over a week ago. It remains unknown how extensive the damage to housing has been in the region—and how many deaths still have gone unreported. 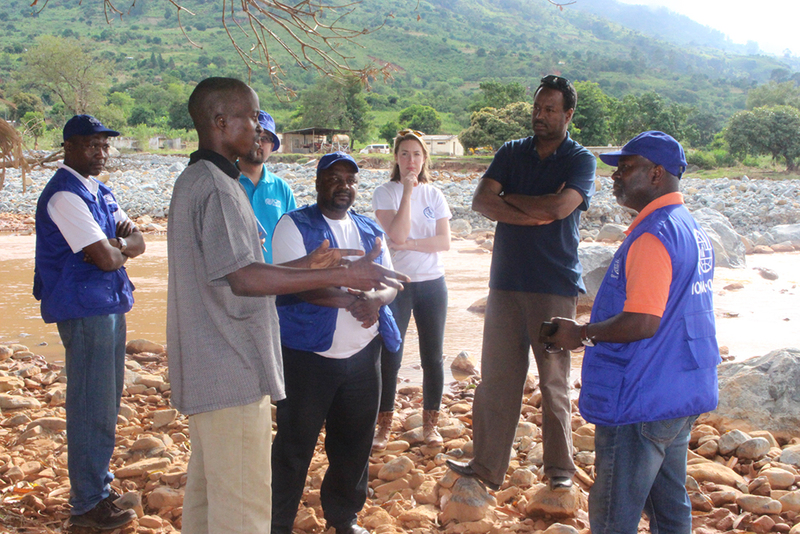 The International Organization for Migration (IOM) will begin sending Water, Sanitation and Hygiene (WASH) and Displacement Tracking Matrix (DTM) assessment teams out into Buzi this week. Precise destinations are still being planned, but searchers can expect four-to-five-hour drives on mostly dirt roads, and to be staying several days at a time in rural villages. 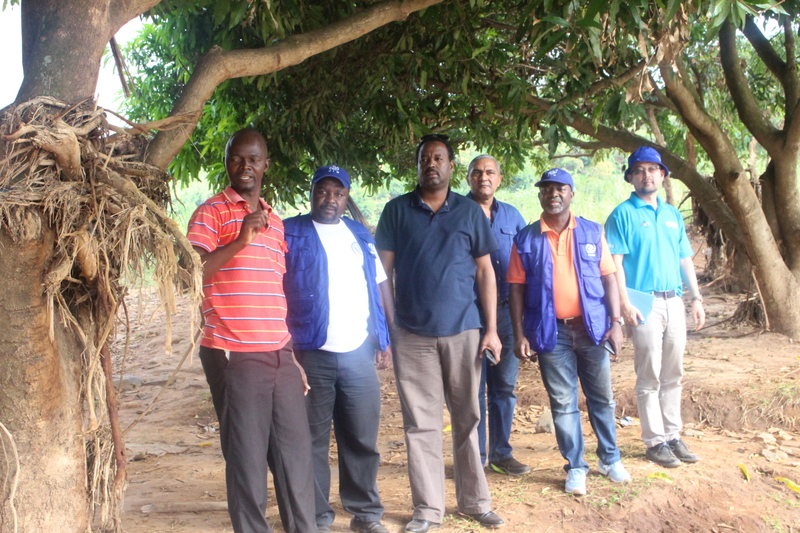 IOM’s Director of Operations and Emergencies, Mohammed Abdiker (3rd from left), joined Regional Director for Southern Africa, Charles Kwenin (2nd from right) and IOM Zimbabwe Chief of Mission, Mario Lito Malanca (3rd from right) on a visit last week to the Chimanimani and Chipinge districts.